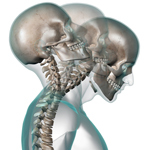 Most often derives from the cervical spine, the uppermost part of the spinal cord that connects it to the brain and contains many ligaments and tendons as well. Pain often develops as a result of a herniated disc, spinal stenosis, degeneration or osteoarthrisits. Depending on the cause, neck pain can be acute or chronic and may also cause pain radiating down the arm, as well as numbness, tingling and muscle weakness. Surgery is not your only answer. Patients with back pain usually find relief through conservative treatments such as chiropractic care, physical therapy, rest, ice or heat therapy, and over-the-counter pain medications, bracing, injections, and other treatments that we offer. The susceptibility of the low back to injury and pain is due to the fact that the low back, like the neck, is a very unstable part of the spine. Unlike the thoracic spine, which is supported and stabilized by the rib cage? This instability allows us to have a great deal of mobility to touch our toes, tie our shoes or pick something up from the ground, but at the cost of increased risk of injury. Until recently, researchers believed that back pain would heal on its own. We have learned, however, that this is not true. Recent studies showed that when back pain is not treated, it may go away temporarily, but will most likely return. It is important to take low back pain seriously and seek professional chiropractic care. This is especially true with pain that recurs over and over again. Contact us… we can help! Contrary to popular belief, a herniated disc does not automatically mean that you are going to suffer from low back pain. In fact, one study found that almost half of all adults had at least one bulging or herniated disc, even though they did not suffer any back pain from it. On the other hand, herniated discs can be a source of intense and debilitating pain that frequently radiates to other areas of the body. That is where physical therapy comes in, to help strengthen and keep our low back pain free.